7 DAYS OPEN, NO HOLIDAY NO MARRIAGE IN LATE NIGHT, PLEASE. CALL FOR LOVE MARRIAGE AND REGISTRATION IN DELHI AND NCR. 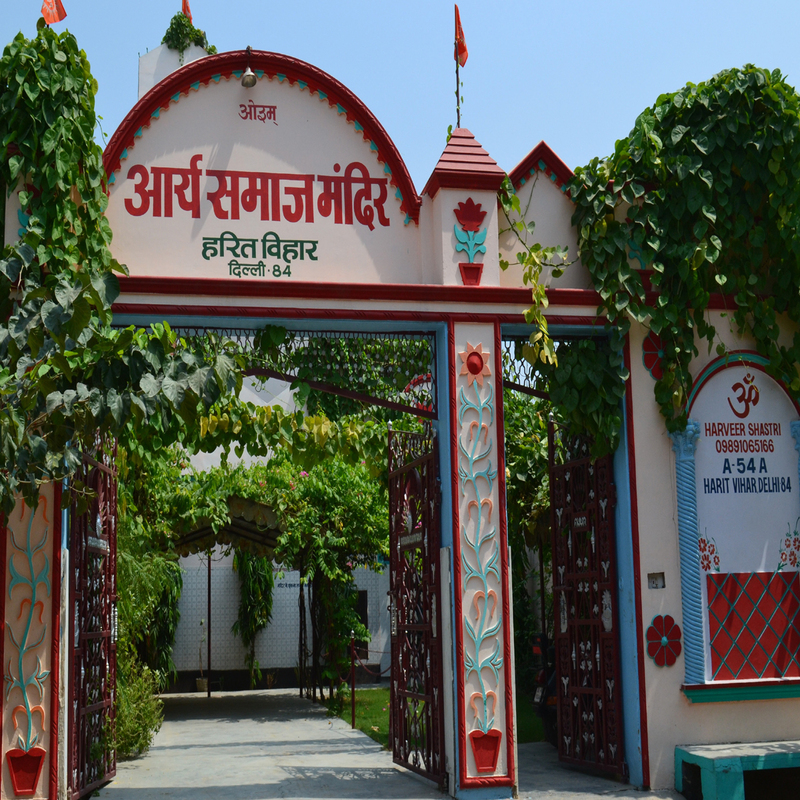 Arya Samaj Mandir is the place where the Arya Samaj marriage takes place. Our temple has the reputable record of handling hundreds of Arya Samaj marriages, making it one of the prominent temples in Delhi and adjoining areas for this purpose. With continued adherence to the essential tenets of the Arya Samaj marriage and abiding by the law of the land, we carry out the whole procedure with traditional Vedic rituals. Our Arya Samaj Mandir upholds the tradition of simplicity of procedures and non-extravagance which is commonly associated with these marriages. Whether it is the love marriage, arranged marriage or the inter-caste and inter-religion marriages, we serve you with the best of our services to help you bond with your beloved for a life-time. Arya Samaj Mandir is required to be duly registered with the Registrar of Societies and this makes it a legal entity for holding such marriages. नकली मंदिरों से सावधान ! Call 08585988301 for love marriage and inter caste marriage in Rgistered arya samaj mandir Noida.